As a filmmaker, D’Souza’s output consisted entirely of right wing propaganda documentaries with such colorful titles as 2012’s 2016: Obama’s America, 2014’s America: Imagine the World Without Her, and 2016’s Hillary’s America: The Secret History of the Democratic Party, completing what will henceforth be referred to as “The America Trilogy.” It seems safe to assume that the subject matter of his works likely caught the eyes of the President, who saw no harm in pardoning someone who was not only convicted of campaign finance fraud, but pleaded guilty to it. 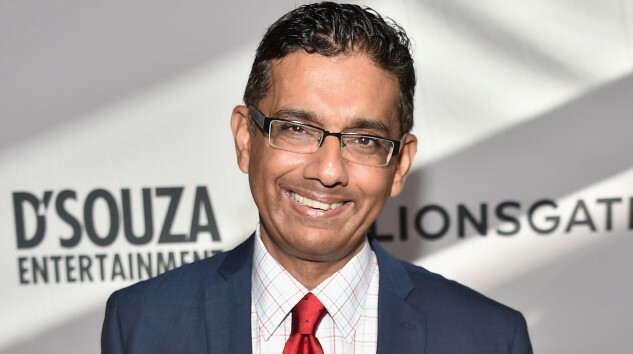 The 57-year-old D’Souza previously spent eight months living under supervision at a “community confinement center,” as well as paying a $30,000 fine. Obviously, the pardon sets a lovely precedent for future presidential pardons we can expect to see from the Trump White House. Those facing felony charges, take note: If your past work attacked the President’s former political enemies, that’s all it takes to get pardoned by the country’s chief executive officer. Trump’s not even waiting until the traditional “end of term” period to rev up his pardoning engine, either—the President has already pardoned the likes of Scooter Libby and Joe Arpaio as well. We’d love to assume this is because Trump doesn’t expect to be in office for much longer, but that’s likely too good to be true.